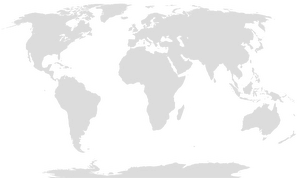 In the image, the map is centered to 20° West. The equator (red line in the image) is a square whose corners are the only four points on the map which fail to be conformal. Not similar to each other, they share the same unusual segmentation of the earth.